This is a compensated campaign in collaboration with BUSH’S Cocina Latina and Latina Bloggers Connect. However, all stories, recipes, and points of view are my own. 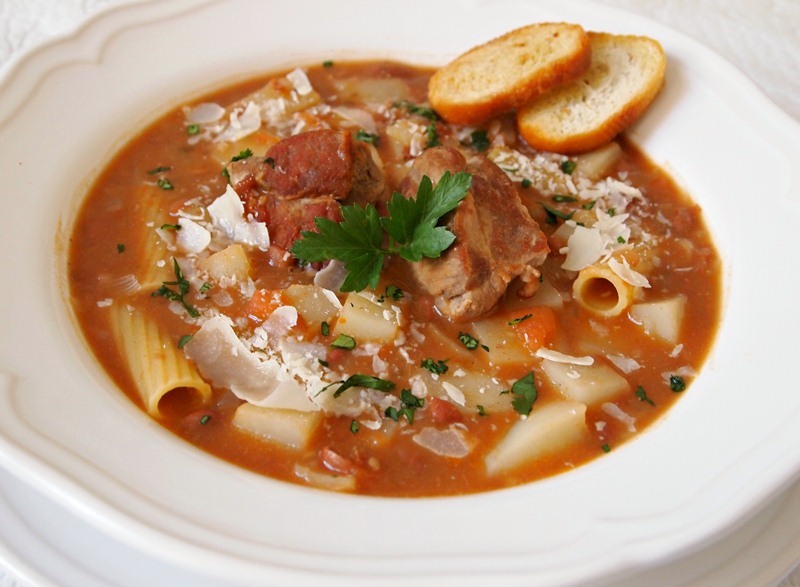 I’ve always found soups to be the quintessential comfort food; unbeatable at making me feel better during the rainy, cold, and dark days that become frequent around this time of year. 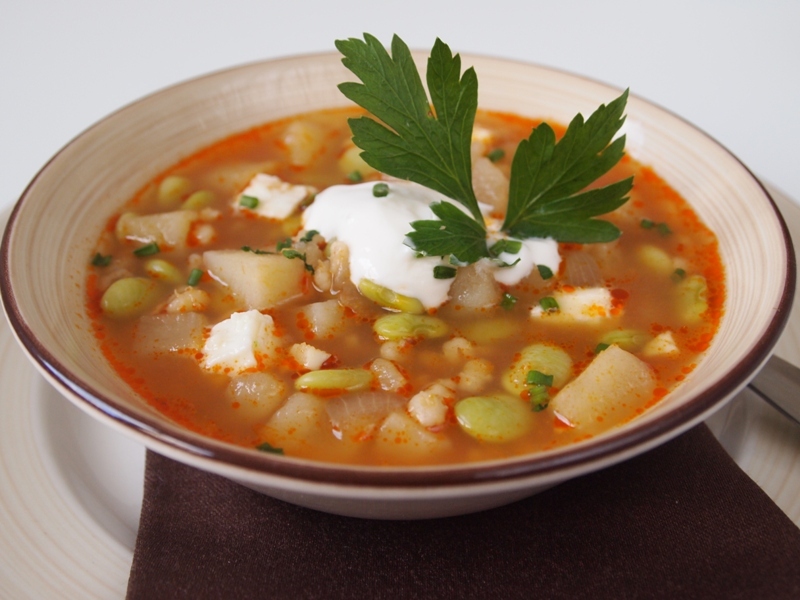 This week I was thinking about all the soup recipes that I know, and remembered that my dad always talked about a bean soup that his family prepared during the Christmas season when he was a kid. Although I heard him say in multiple occasions that this was the best bean soup recipe in the world, he never made it at home. So today I decided that it was time to try the recipe myself and see if it was as good as he said. 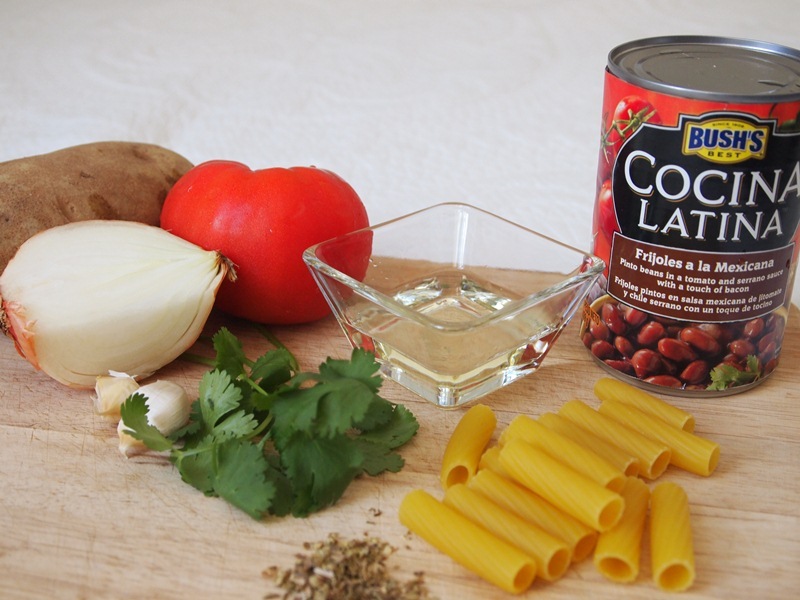 As you probably know, beans are a staple in most Latin homes, and mine is no exception. As you probably also know, cooking beans from scratch takes a very long time, and I did not have the time to do so today. For that reason, I made some adjustments to the recipe so that I could squeeze the cooking time into my busy schedule as a new mom. Instated of preparing the beans myself, I used a can of Bush’s Frijoles a la Mexicana (Mexican-style beans). This provided the most important ingredient for my dish, and saved me a lot of time too. 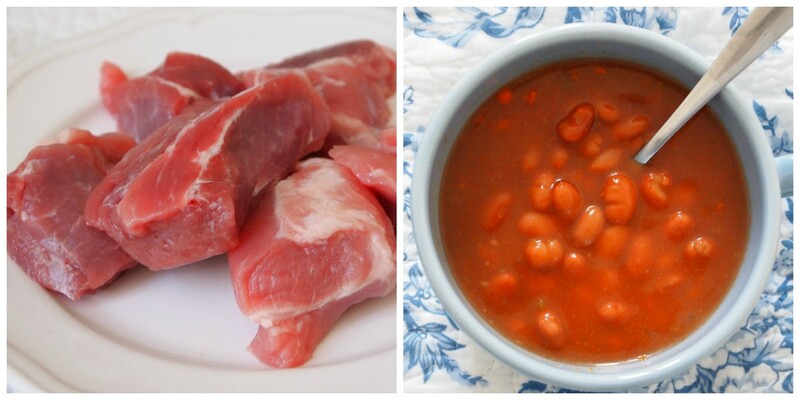 I chose Frijoles a la Mexicana because I could envision them giving just the right flavor to my recipe, thanks to its amazing mix of tomatoes, serrano peppers, and bacon, that combine perfectly with the pork that gives this dish its special taste. The result was outstanding. 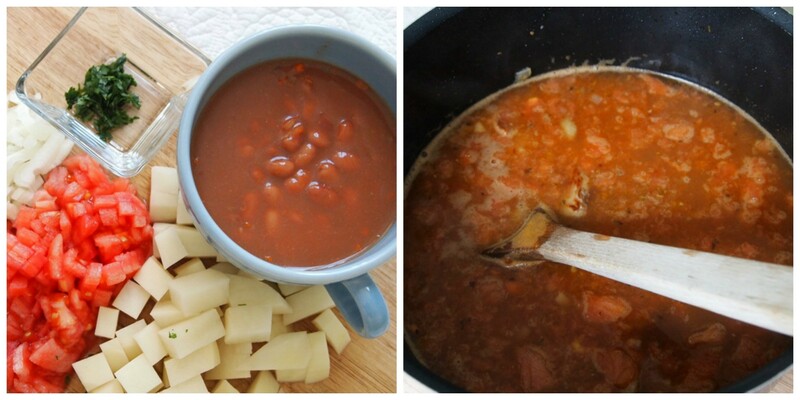 The bean soup was not only creamy and delicious, but it took very little time to make. 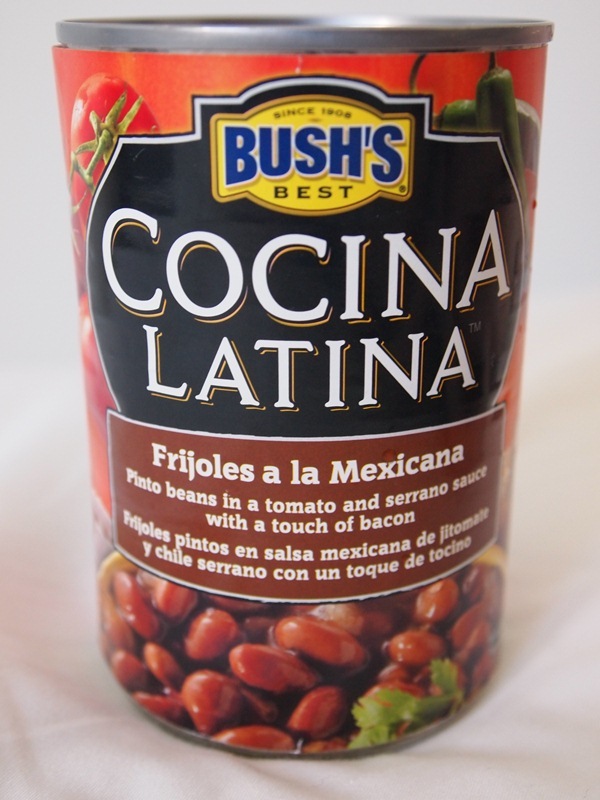 I was very happy using Bush’s beans in this recipe, and I will try it again using the other three bean flavors available in their Cocina Latina line (with great tasting ingredients like onions, cilantro, and garlic), as I’m sure each of them will add an extra something to my dad’s holiday recipe and to many of my family’s comfort dishes. 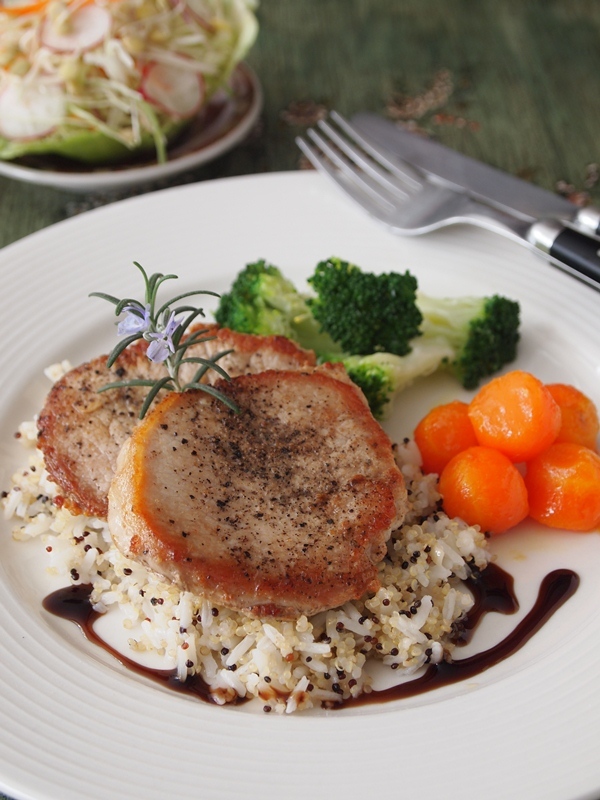 Heat the oil in a saucepan over medium heat and fry the pork until golden. 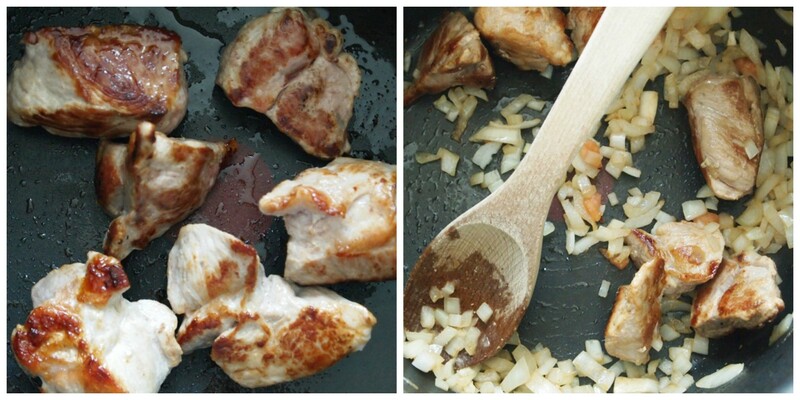 Add onion and garlic, sauté until it is soft and translucent. Incorporate the tomato and oregano, stir for 3 minutes. Pour the beans into the pan and add 6 cups water. Bring to a boil and turn the heat to low, simmering for 25 minutes partially covered, or until the pork is tender. Add potatoes and pasta and simmer for 11 minutes. Season with salt and pepper. Turn the heat off and add the cilantro. 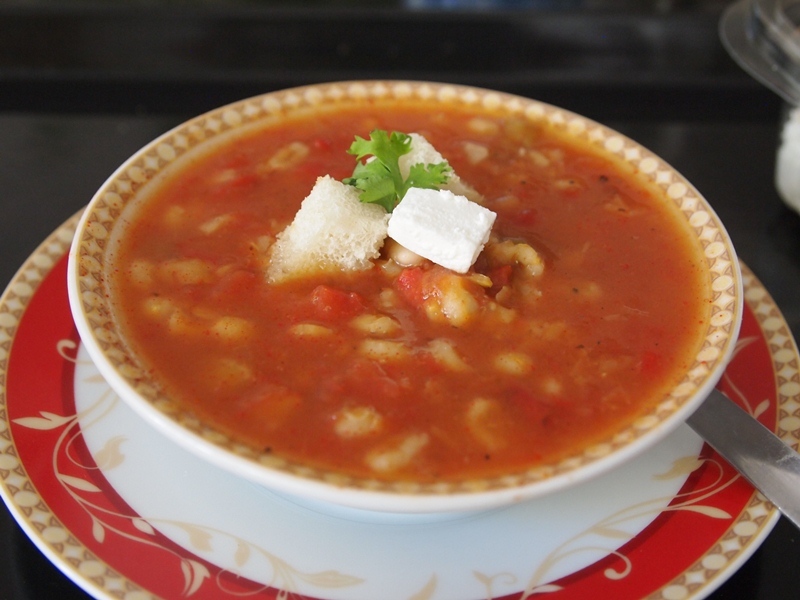 Serve hot with a sprinkling of Parmesan cheese and toasted bread on the side..
Si, las sopas son lo mejor cuando hace frio. Saludos, Mirta!